Rumors about the Samsung Galaxy S5 started in December 2013 and now that Samsung's new flagship is nearing its launch date, more and more rumors came out. The latest of these rumors suggest that the Galaxy S V will be sporting a plastic body contrary to earlier reports that the manufacturer was planning to release units with metallic body. Tech experts said that it could be true because metallic chassis and covers cost way higher than that of plastic. While it could be a bit disappointing to some, it is expected that Samsung would actually make it up by making its new flagship the most powerful Android phone this year. For photography enthusiasts, the Galaxy S5 might just become the apple of their eyes as latest rumors suggest it would feature a 20-megapixel camera sensor with 4K video record capability. The Korean phone maker had always been mediocre in giving its phones camera sensors but this time around, it seems that it is breaking the tradition. Now, if the S5 would feature a high-res camera, it is also necessary to have an incredibly high-res display. According to latest reports, the phone would sport a 5.2-inch screen capable of catering 2K display with 1440 x 2560 pixels (QHD) resolution. There is no information as to the technology Samsung would use for this phone but many believe it would still stick to its proprietary Super AMOLED technology. Lastly, the S5 is said to feature an eye scanner which would allow users to unlock their phones using their eyes. This technology, while it sounds advanced, is not a surprise at all consider the previous two flagships are capable of scanning the eyes of the users. If rumors were to be trusted, one frustrating information about the Samsung Galaxy S5 is that it would come with 2,900mAh battery only--it's just 300mAh better than the battery of the S4. Many were actually expecting the S5 to feature a battery that has a capacity of more than 3000mAh but it seems that is not the case. 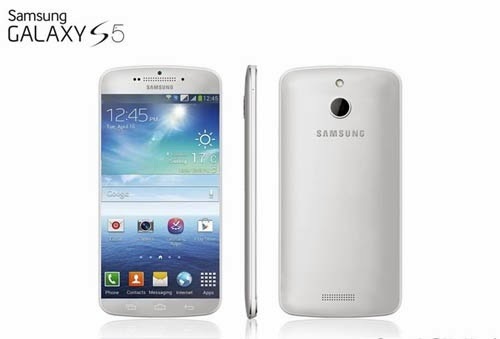 An unnamed Samsung employee said that the S5 may be announced in March during an even in New York.